David van Bemmel highlights Dutch legal traits of importance to shipowners and their interests. In short, practical words. This time: owner’s liability for collisions and allisions in Dutch waters and fault of the vessel. Damage caused by your vessel to third parties is directly redirected to your liability as an Owner. Canalization of liability is what it’s all about when it comes to your liability as a shipowner for damage caused to third parties by way of collision or allision. This approach was chosen by our legislators to cater for third party rights, as these third parties cannot be expected to be familiar with all involved parties in the vessel but should at least be able to trace the vessel’s owner. Main question: was your vessel at fault? The legal concept ‘fault of the vessel’ epitomizes Dutch law of collision. The main concept is fairly simple: should your vessel be at fault, Owners are liable for compensation of all damage caused. Fault of a vessel is not presumed in collision cases; it needs to be proven. In case of multiple vessels at fault, the fault is apportioned to the involved Owners. This accounts both the internal liability as well as external – towards third parties – liabilities. In the latter case liability is joint and several between the involved Owners. Internal liability is born on the basis of the applicable shares of fault, although born equally between the involved Owners when such share cannot be established or proven. Dutch allision law likewise relies on the concept ‘fault of the vessel’, albeit that the existence of fault is presumed. Not very surprising, since fixed objects rarely tend to move. The presently relevant case law makes for it that it is usually difficult for Owners to rebut their fault. Own fault defenses may however sometimes prove fruitful. You will appreciate that good expertise, good advice and/or negotiation and good litigation may be of essence in order to reduce your share of liability. The landmark case to be reckoned with is the Dutch Supreme Court’s ruling “CASUELE”/”DE TOEKOMST” , which is valid to date. a risk to persons and goods that came into existence because the vessel was not up to the reasonably necessary and demandable expectations in a matter at hand. This landmark decision has made clear that Owner’s liability depends mostly on risk and not solely on fault. Although Dutch ‘wet’ law provides for a force majeure provision, this provision was thought superfluous at the time of drafting. Although case law research points out that force majeure defenses are brought forward in the courts, all here known recent cases have found their Waterloo on the merits of the “CASUELE”/”DE TOEKOMST” case. As pointed out in this case, there’s always a deeper lying root cause to a casualty. This kind of damage is equally attributed to Owners on the basis of the above given rules for fault of the vessel. We tend to see a lot of damage caused by vessel’s wakes. A-typical damage covered by ‘fault of the vessel’: injury aboard, notable cases are “ZILVERSTAD” and “DEO JUVANTE”, crew or agent related damage, such as damage caused by an omission to turn of electrical supply’s powerlines (“RASMUS”) or an omission to take the right measures to prevent vermin from spreading to other cargo holds (“BANGLAR DOOT”). What’s more: liability for damage caused by hazardous cargoes and bunkers have an apart status. Topics for a later blog. Much has been said on the broadness of the legal concept ‘fault of the vessel’; it has more than a few times been dubbed as excessive. However, from a practical point of view and until someone has the case to turn the judges’ heads, Owners have to deal with it. And so do defense lawyers. This does not mean that Owners have to be strung up to their full quantum of liability whenever they’re at fault. Best contact your preferred Dutch lawyer for good advice. Langelaar Klinkhamer Advocaten B.V. can advise you on all topics of the judicial sale of (both brown- and) blue-water vessels and has many years of experience in assisting you in the quick divestment of mortgaged vessels. Questions regarding this blog post? Please contact David van Bemmel by phone: +31 (0)10 – 411 41 46 or email: vanbemmel@langelaarklinkhamer.com. 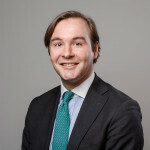 David has been a lawyer at Langelaar Klinkhamer Advocaten in Rotterdam since 2011 and has specialized further in (international) trade, transport and insurance. He litigates and advises frequently in ‘wet’ and ‘dry’ maritime and inland waterway cases. In addition, David also enjoys focussing on contract work. Questions regarding this blog post? Contact David by sending an email to vanbemmel@langelaarklinkhamer.com.